When our landlord announced he was selling our home of four years, it was a very worrying time for us; but we went and saw Jan of Jan O’Neill Mortgages and she quickly and confidently put our minds at rest and assured us that we would be able to buy our home despite the complicated nature of the transaction. Jan is very knowledgeable and experienced and got us through the process with a great sense of humour. Yesterday we completed on the purchase of our home and are looking forward to many more happy years here, secure in the knowledge that we can stay here for as long as we like. I am also very much looking forward to making it my own and getting rid of all that magnolia paint! “Just a quick e-mail to say thank-you for all your help. “We wanted to say thanks for all your help. Buying a house from another county could have been very stressful, but thanks to your total professionalism everything went without a hitch. Your good humour made it fun too!! "I can't express how grateful I am for everything Jan has done for me over these past few years. Jan has provided me with her professional knowledge & guidance every step of the way, she's been open & honest but most importantly, has always been so positive & friendly whenever I've been into the office or spoken on the phone!! In addition to all this, Jan has set me up with the best life cover she could find at affordable prices & organised the legal side of everything. I can't thank you enough for all you've done for me Jan & you know I will be back to see you in the future & so will my friends & family as you are truly worth recommending!! 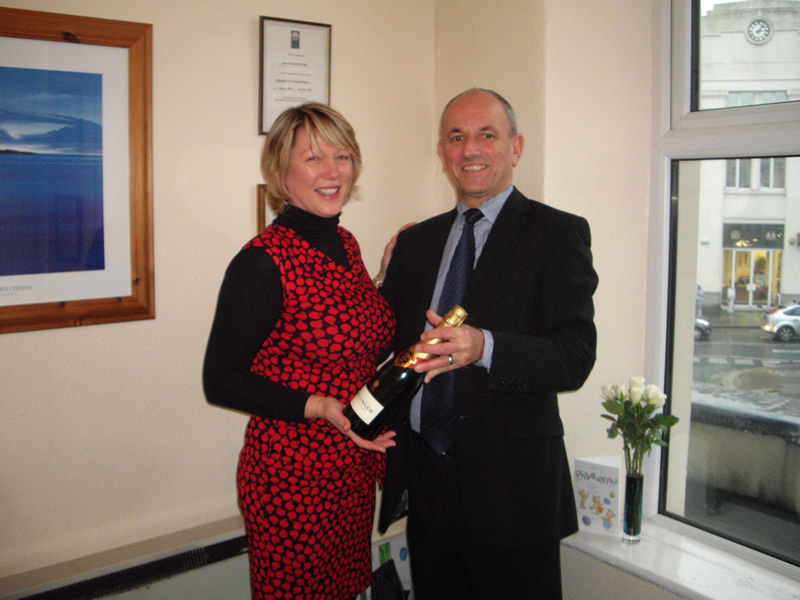 “Thank you very much for all your help with our Buy to Let mortgage. It was plain sailing. Your advice was invaluable. “We were delighted with the service. After contacting three mortgage advisors who were not very helpful with our situation, we found Jan O neil Mortgages on an internet search. Jan made very fast progress whilst keeping us up to date all the time. The end result was us getting a very good deal on a mortgage that was tailored to suit our needs, meaning that we were able to proceed with buying our prefect family home. We would definitely recommend Jan to friends and family, and the next time we need mortgage advice will be back in touch. “You managed to do it again!! Got all our needs met in super quick time! On behalf of both of us, thank you so much for your help in making this happen. All the pennies are in – bills have been paid and savings deposited ready for what might happen over the next 2-3 years. We are hugely grateful: it’s taken pressure off us and even the kids are appreciative…as they were worried for us! “Once again Jan you’ve been professional, thorough and on the case throughout. It’s great to know you’re following everything up for us when we’re so busy. Changing our buy-to-let Mortgage through you has saved us £170 per month, which we can put towards other home costs. I’ll continue to recommend you to family and friends. “Thanks for all your help, you’ve been fantastic! You can also find reviews on the Buy with Confidence Website.